Plex Media Server is used by a wide variety of people. Some use it to watch their favorite TV Shows or listen to music by streaming them on the go. Others, use Plex at home to watch Movies and stream shows from Plex Channels. Today, we are going to talk about how you can watch TED Talks on Plex. Specifically, how can you enable the TED Talks Plex Channel on your server? So without further ado, let's get right to it. 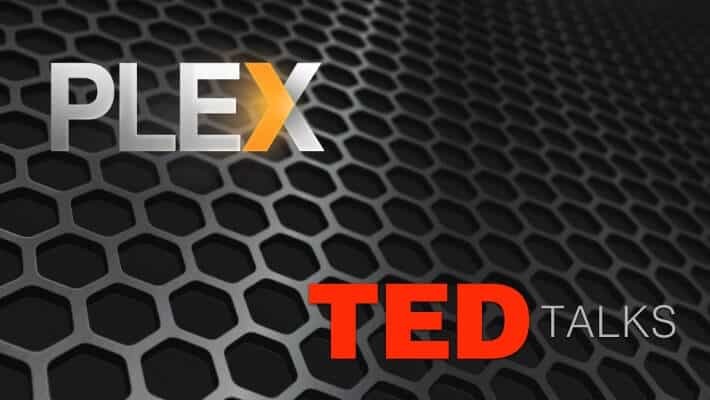 What is TED Talks on Plex? TED stands for Technology, Entertainment, Design. It's an organization devoted to spreading ideas in short and powerful talks on various topics which are usually less than 18 minutes long. TED Talks on Plex has a wide range of these talks available for streaming. After installing the TED Talks Plex Channel, you will be able to watch them wherever you have a Plex client. If you want to learn more about TED, check out their website. 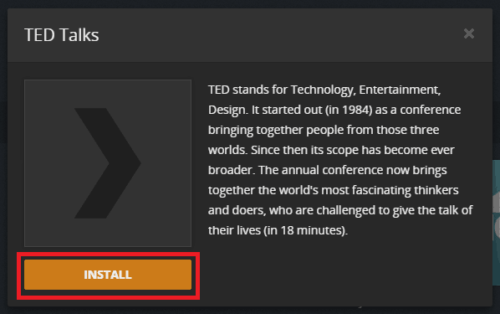 How to install TED Talks Plex Channel? In order to install TED Talks Plex Channel, you need to have Plex Media Server already installed. If you don't, make sure you check our guide on how to install Plex on Windows or on Ubuntu. If you are feeling adventurous, you can Install Plex using Docker and benefit from all of the features offered by Docker. Open Plex and click the Channels tab. Next, click on the Install Channels button. In the Channel Directory, first click on the Categories tab then choose Educational from the list. From the channel list, click on TED Talks. Finally, click on the Install button to install the Plex TED Talks channel. After installing the channel, you can start it from the Channels tab and begin enjoying the Plex TED Talks Channel. TED Talks on Plex is now installed – what to do next? Now that you have installed the Plex TED Talks Channel you can learn more about improving your Plex Media Server experience. You can choose from our top 10 Best Plex Unofficial Channels 2017 article new channels to install on your server. Or if you want to automate your TV show downloads, make sure you read our guide on how to install Sonarr using Docker. If you share your Plex server with your family and friends, you may want to monitor Plex usage with PlexPy. Check back soon for more guides for your Plex server. How to automatically extract RAR files on Sonarr after download?